Mark Hamill Loses His Contractually Obligated Beard, Shares a Memory from The Force Awakens Table Read! In May 2014, Star Wars fans found the photo above accompanying the much-anticipated press release that announced the cast for the next installment of the Star Wars franchise. 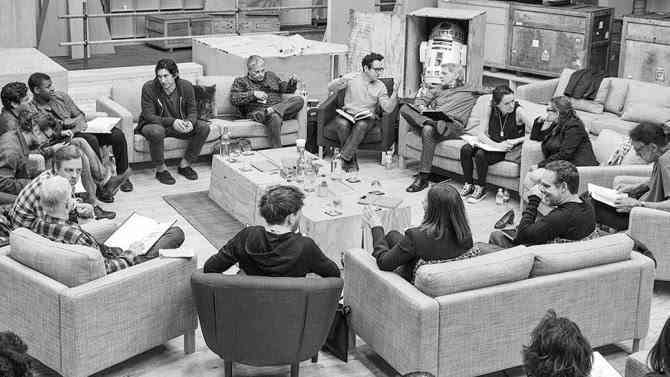 The photograph depicted the first table read that included film’s new cast in a read along with original Star Wars film legends Harrison Ford, Carrie Fisher, and Mark Hamill. Yesterday, Hamill spoke out about his ‘The Force Awakens’ script read and confirmed that even though his film character didn’t have any dialog at all, he actually had more to say than anyone else during rehearsals. So how did this little tidbit come to light? We’ve heard some rumors about this tiny little tidbit before, but nothing that was remotely official. Well, it seems that it’s pretty darn official now! Also, Mark shared a new photo on Twitter where he was holding a book up entitled “Darth Vader and Son”. In the photo, it looks like Hamill may be back without something that was ‘contractually obligated’. Has anyone noticed that he’s hiding his face/beard? You can definitely see that the beard is gone. As Mark revealed 2 days ago, Episode VIII is expected to wrap principal photography on July 22. That’s 18 days away. This could mean two things. Either Mark has already wrapped filming, or he may appear in Episode VIII at some point without the beard. If you remember something similar happened during TFA. Mark shaved his beard 3 days before the end of principal photography. This time though the period is much bigger. What do you think? 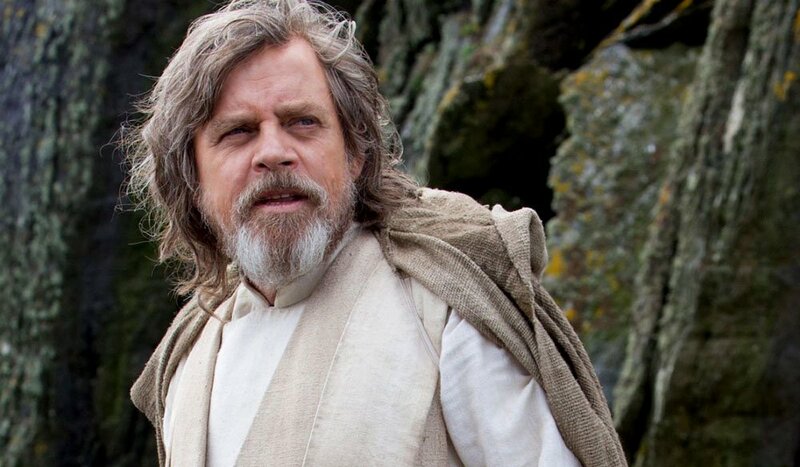 Will it be cool to see Luke appearing at the end of Episode VIII without the beard in all his glory as Master Jedi? Or maybe Mark has just finished his scenes 18 days before the end of principal photography? Tell us what you think in the comments below.